The window replacement professionals you can trust in Navarre, Florida, are found at Majors Home Improvement. Since 1997, we have been helping homeowners improve their residences and in that time, we have earned an A+ rating with the Better Business Bureau and a five-star rating with GuildQuality. These accolades are evidence that we take customer service seriously and go above and beyond to make the home improvement experience a pleasant one for homeowners. 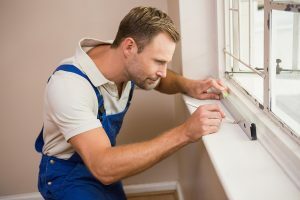 Durable – The vinyl frames of our windows are warranted against rusting, warping, peeling, blistering, cracking, rotting, pitting, corroding, and fading in color. Energy efficient – With ¾” insulated glass, multiple chambers, and welded frames and sashes, our windows form an effective barrier to the weather, keeping hot air out in the summer and cold air out in the winter. Low maintenance – Our windows are virtually maintenance free, and since they feature tilt-in sashes, cleaning is a breeze. When you work with Majors for a window replacement, you can count on receiving our exclusive Red Carpet service. This service includes consistent phone calls and emails throughout the project, keeping a clean worksite, and remaining respectful and professional from beginning to end. If you’d like to discuss a window replacement with the experts at Majors Home Improvement, contact us today. We serve homeowners in Navarre, FL, and throughout the area.